We’ve been in the fire protection system and fire safety inspection business for nearly 42 years, inspecting, testing, and maintaining high rise buildings. 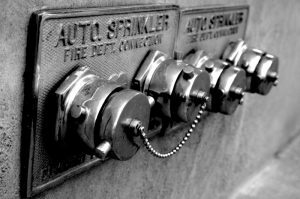 For all of our fire protection inspections, we follow the California State Fire Marshal’s guidelines and requirements for 5-year testing, quarterly inspections, semi-annual and annual testing of all automatic fire sprinkler systems, wet and dry standpipe systems, fire pumps, and pressure regulated valves. Monte Osborn owns and runs A-Total Fire Inspection. He is a retired firefighter from Los Angeles and is a C-16 licensed Fire Sprinkler Engineer with extensive knowledge of fire protection systems of every kind. Monte is very experienced in fire safety. In fact, he helped write the first standard for 5-year fire inspections of fire pumps adopted by the State of California in 1984. Our service area extends from San Francisco to Lake Tahoe and from Salinas to Redding. We have service yards in San Francisco, San Jose, Oakland and Sacramento. Call us today for professional fire safety services that you can trust.